The past 18 months have brought tremendous activity around cryptocurrencies and the vision for Web 3.0. More and more developers are interested in building apps that use cryptocurrencies and want to use decentralized networks for some of their apps’ functionality. Unfortunately, there are currently many challenges to reach wider adoption. These obstacles include low user-friendliness of current Dapp browsers and crypto wallets, which result in a small user base. 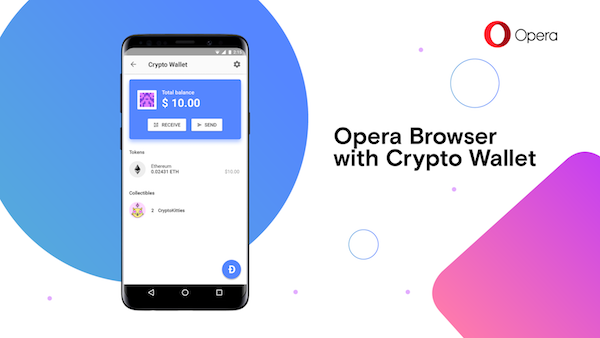 By introducing Opera for Android with Crypto Wallet, the Norwegian browser maker is lowering the barrier of entry into the web of the future for users and developers alike. Since the wallet is built into the browser, this means internet users no longer need to install separate Dapp browsers or crypto wallet extensions. Developers, on the other hand, are getting an incentive to create decentralized apps (Dapps) for web3, since Opera is about to make them mainstream and available to all its users. Existing offerings are built as crypto wallets with a default WebView on top, which makes them very basic as browsers. Opera is a great browser with an integrated Crypto Wallet, which means users can keep engaging with Web 2.0 and using other convenient browser features, such as ad blocker or bookmarks, while also venturing into the world of Dapps and cryptocurrencies. Anyone who uses current crypto wallets will notice that Opera with Crypto Wallet’s UI is simpler. Typical wallets require the user to create new PIN codes or passwords. 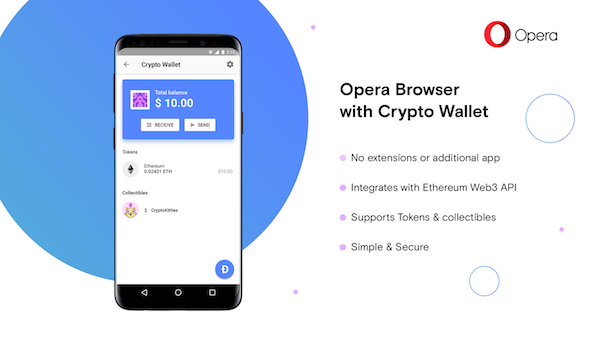 Opera instead relies on Android’s secure system lock to sign transactions from the Crypto Wallet, so users don’t have to learn any new codes to start using the wallet. Opera with Crypto Wallet also supports tokens and digital collectibles and automatically presents them to the user, something few wallets do. You will need a Google or G Suite account.